Professor Crews earned his Chemistry B.A. at the University of Virginia in 1986. He then studied in Germany at the University Tübingen with a German Academic Exchange Service (DAAD) fellowship. He earned his Ph.D. in Biochemistry at Harvard University in 1993. After a postdoctoral fellowship with Stuart Schreiber at Harvard he joined the Yale Molecular, Cellular, and Developmental Biology Department faculty. 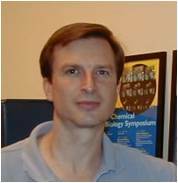 He is also a faculty in the Departments of Chemistry and Pharmacology at Yale. His laboratory investigates chemical approaches to the study of biological questions and is specifically interested in the modes of action of biologically active natural products in order to investigate intracellular signaling pathways and identify novel targets for drug design. In 2006, Prof. Crews received the Friedrich Wilhelm Bessel Award from the Alexander von Humboldt Foundation and, in 2009, he received a Grand Challenges Exploration grant from the Bill & Melinda Gates Foundation.